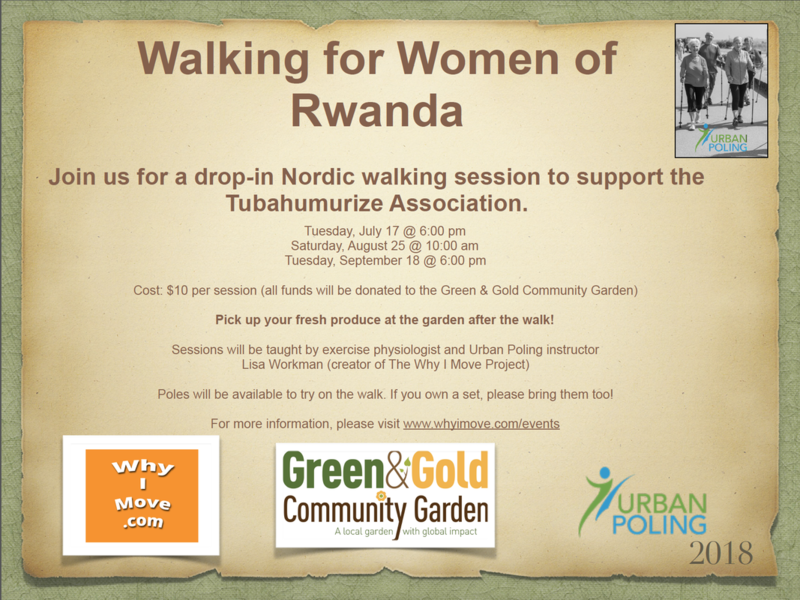 Please meet Lisa at the Green and Gold Community Garden (see map below). 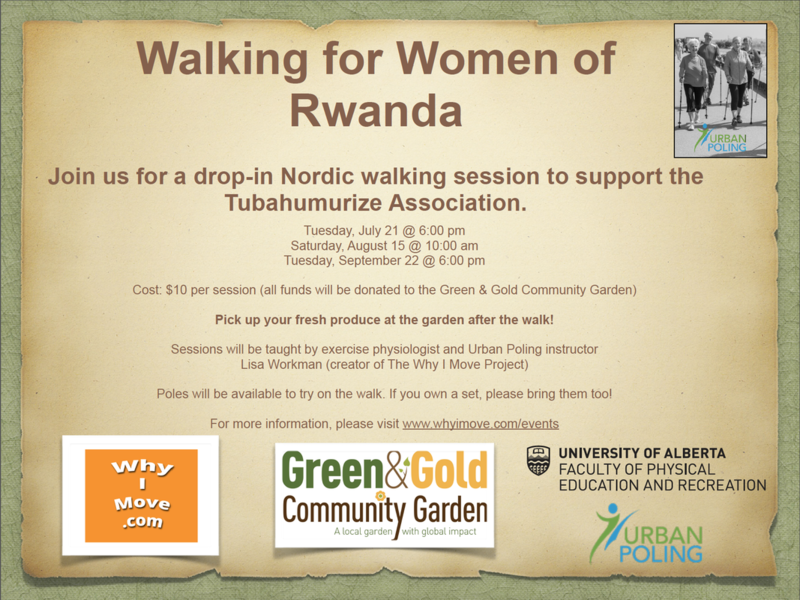 The Garden is located on the South Campus of the University of Alberta. 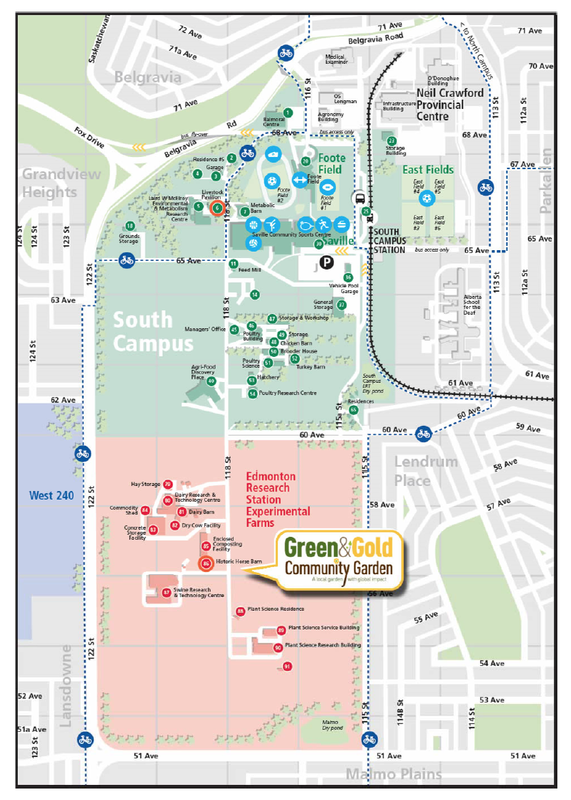 Enter the University Farm off 60th Ave. 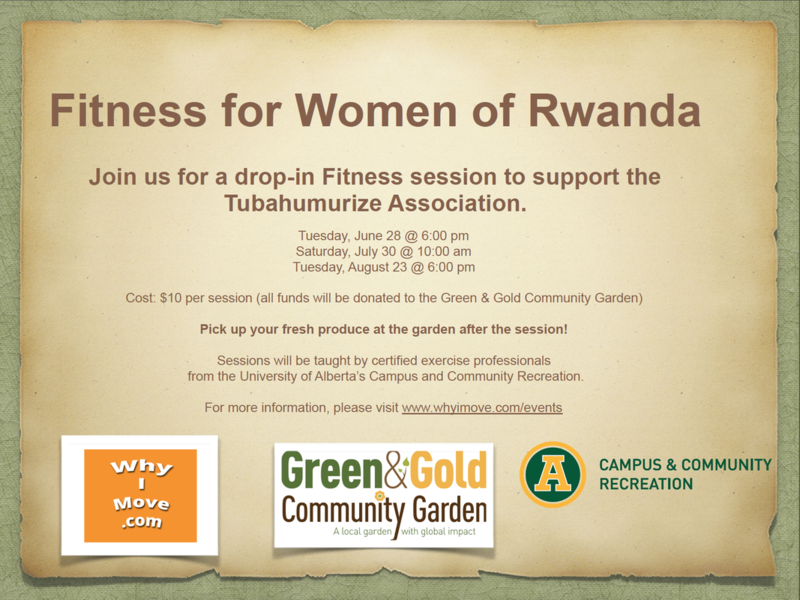 Turn left at the T intersection (118th St) and you can’t miss it (just across the road from the old barn). 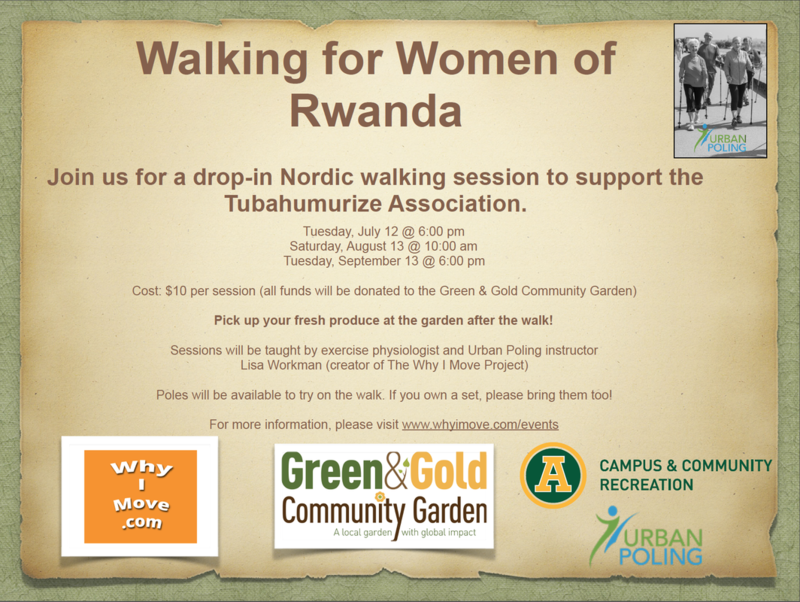 Ensure you wear comfortable walking shoes and weather appropriate clothing. 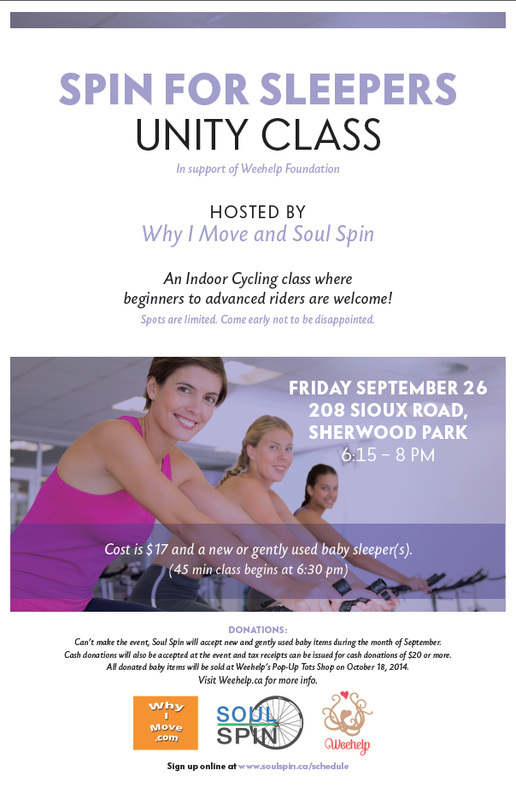 Bug spray may also be helpful! Urban Poling has generously donated a draw prize of one pair of Nordic walking poles (value of $99.99)! 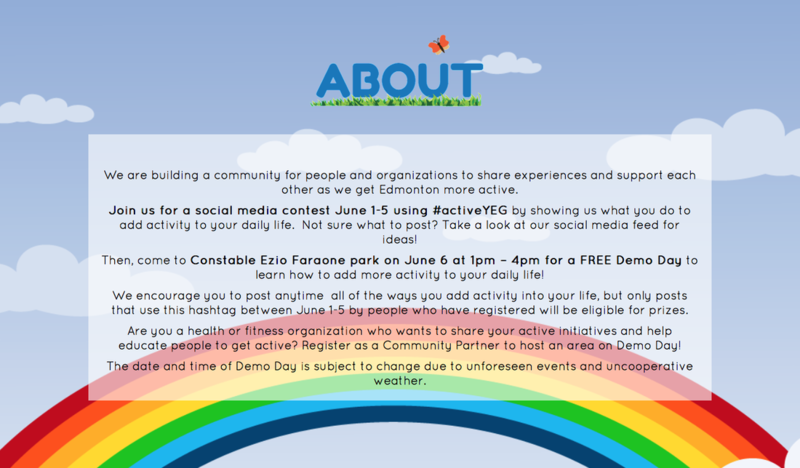 We are participating in Active YEG's upcoming week of social media June 1-5 and their Demo Day on June 6! 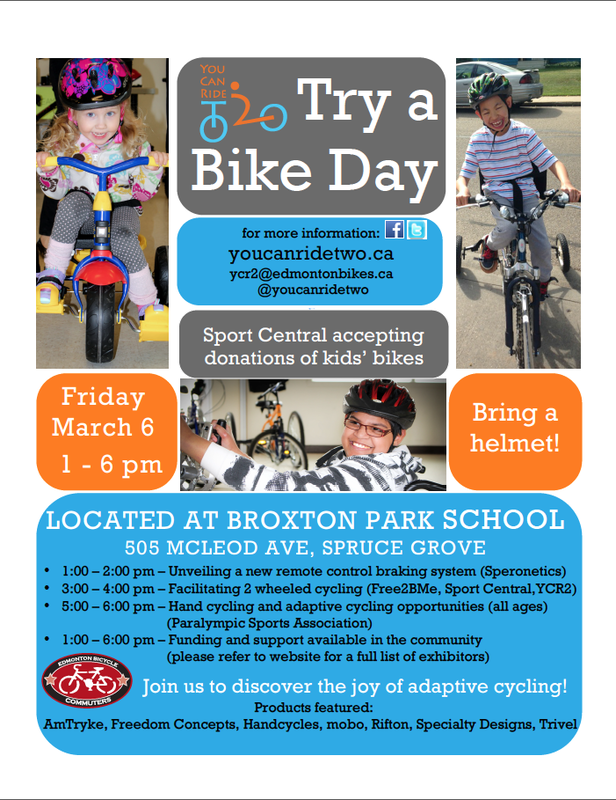 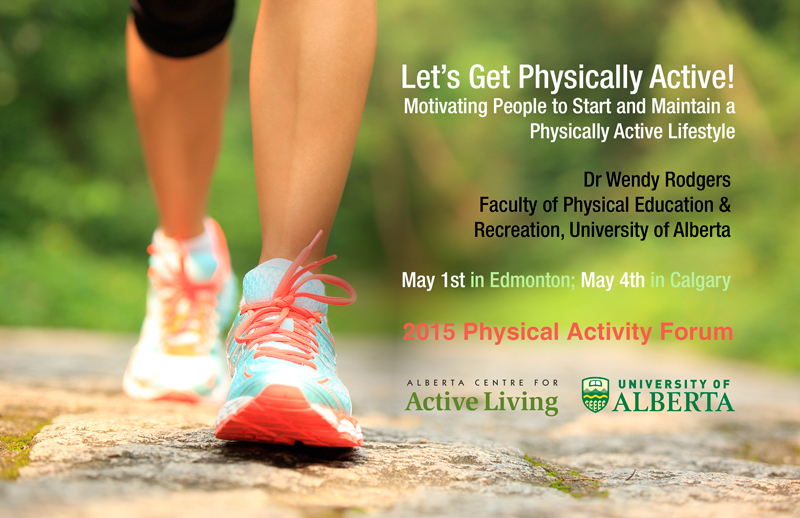 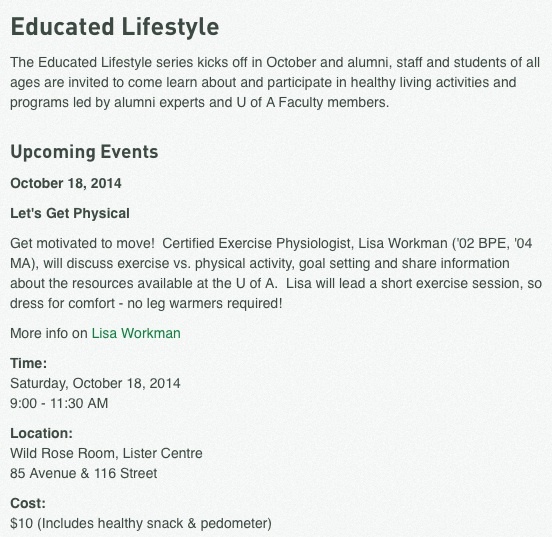 Join us as we experience all things active in Edmonton! 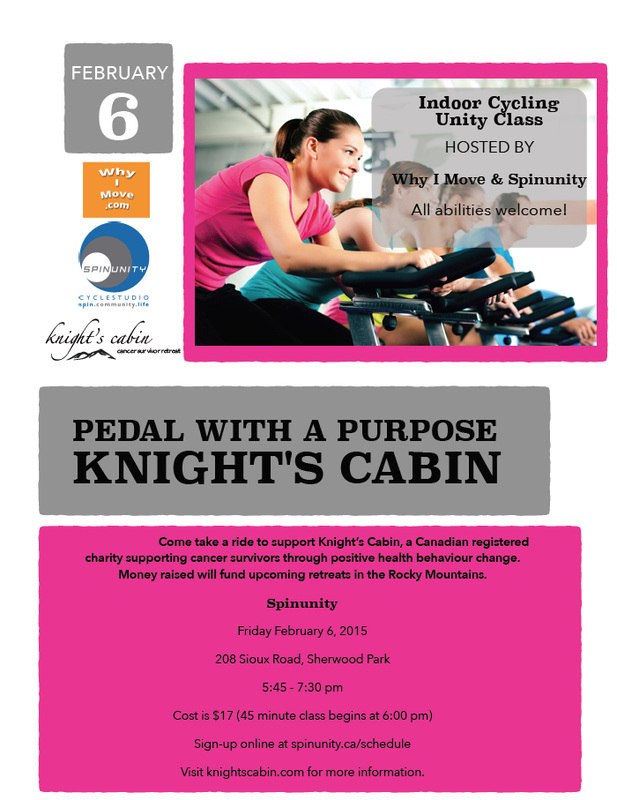 Join The Why I Move Project sponsored ride on Tuesday April 7 at 5pm! 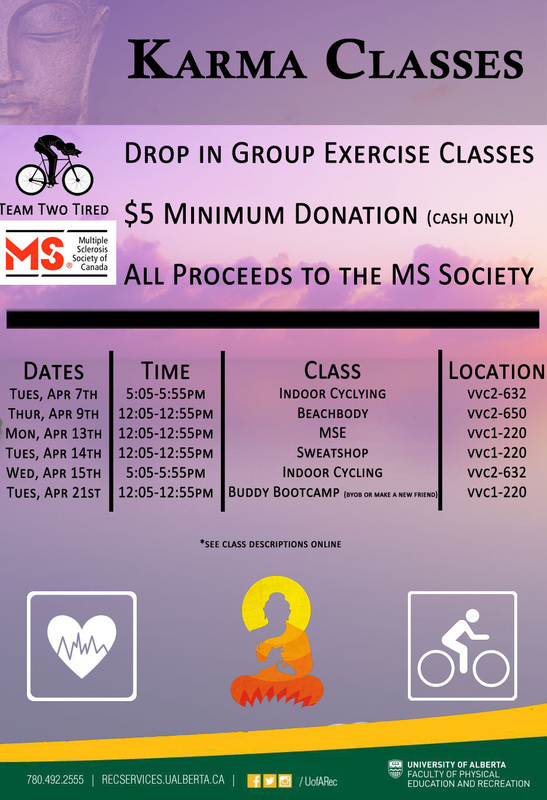 Spread the Karma further and participate in all six classes, supporting Team Two Tired in the MSBike Tour!